Discuss the context for developments in elevator technology, with particular emphasis on controls. Describe new destination-based dispatching technology, and how it is installed and implemented in both new construction and modernization projects. List the energy-efficiency implications and other operation and efficiency benefits of destination-dispatch elevator controls and similar optimization techniques. 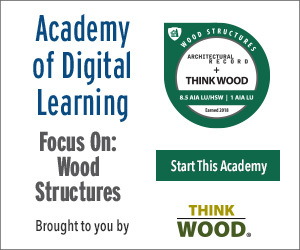 Explain how destination dispatch benefits specific building typologies, citing case studies. Over the last decade, new techniques in controlling elevators have radically changed thinking about how building mobility is organized and operated. 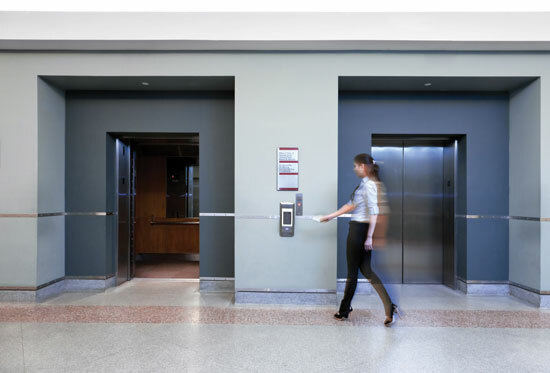 For architects, these advances are essential knowledge for designing and renovating any buildings that rely on elevators for moving their occupants and visitors. The most important advancement in recent years is destination control. About 20 years ago, destination control systems were commercialized based on this approach. Not only did the controls reduce wait times and traveling times by up to 30 percent, but they also allowed for new techniques in core layouts, elevator stacking, and overall building designs. A car will continue traveling in the current direction as long as there are remaining requests in that direction. If there are no requests in that direction, the car should wait and idle. The car should change direction if there are requests in the opposite direction. Decidedly simple, yes—but elevator operations could be optimized for even greater efficiency. In the 1980s, microprocessor technology introduced programs with more complex commands. These include heuristics—experience-based problem solving—which attempts to approximate reasonable if not optimal solutions to handling requests. These more recent algorithms are typically applied to elevator banks through a lift-group control system (LGCS), using microprocessor logic to send off the most appropriate car among the group to answer a given request. Yet older conventional technology systems can be outdated and inefficient. These systems represent unnecessary costs and losses to both building owners and tenants. Simple and heuristic algorithms often waste time, energy, money, and space in a large number of typologies and applications. For architects and their clients, there are big implications for adopting cutting-edge controls instead—creating “smart elevators” that benefit everyone. Elevator layouts traditionally are dictated by efficiency of core area and ADA rules, but destination-based systems remove this design constraint, allowing more freedom in planning a lobby layout.